The YotaPhone was one of the only genuinely exciting mobile products to come out of CES 2013 nearly a year ago. If you've been itching to get your hands on this interesting combo device, you can lay down your money right now... so long as you're laying down Rubles. 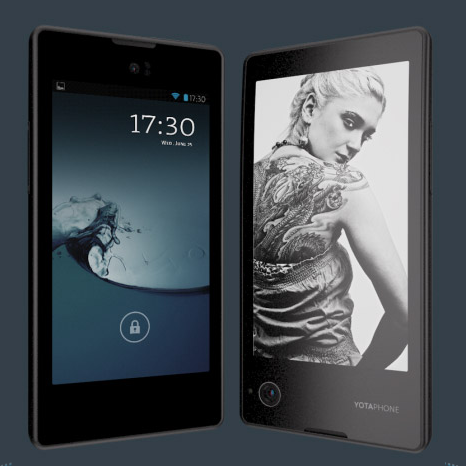 YotaPhone just started online sales of its LCD/E-Paper combo phone in Russia. Our Russian readers can pick one up for 19,990 Rubles (about $600 USD). The company will be expanding its distribution quickly. The online YotaPhone store will be shipping to Austria, Germany, France, and Spain starting in mid-December, with expansion to the United Kingdom, Greece, Cyprus, the Czech Republic, Saudi Arabia, Kuwait, Bahrain, Qatar, Pakistan, Iraq, Iran and Egypt in January. At least some retail locations in these countries will carry the YotaPhone, and international distributors Ingram Micro, Brodos, and Jumbo Electronics may decide to spread the device even further. If you've forgotten about the YotaPhone, well, we could hardly blame you. 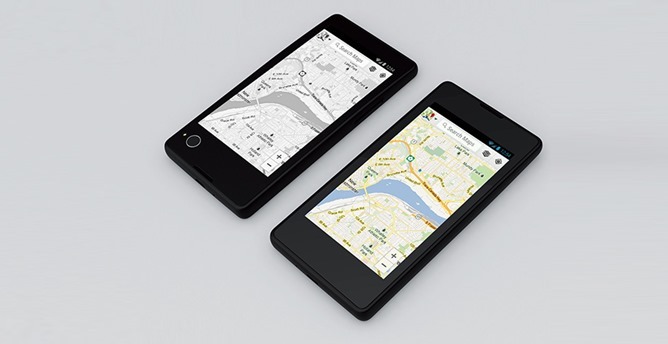 The Android phone uses a conventional LCD screen on one side and a Kindle-style e-paper display on the other, specifically for operating the phone in a low-power, easy-to-read fashion. The full Android interface is available on both sides, and custom software takes advantage of the unique hardware. When David Ruddock got some hands-on time with the YotaPhone at CES he came away very impressed. If you're looking for some more timely info, check out CNET's in-depth Q&A with YotaPhone CEO Vlad Martynov. The final version of the YotaPhone uses a dual-core 1.7GHz Snapdragon processor, a 4.3-inch 720p LCD screen and 4.3-inch 360x640 e-paper screen, 2GB of RAM, 32GB of storage, an 1800mAh battery, and a 13MP rear camera - not bad for six hundred bucks and completely unique hardware. The phone is running a highly customized version of Android 4.2.2.